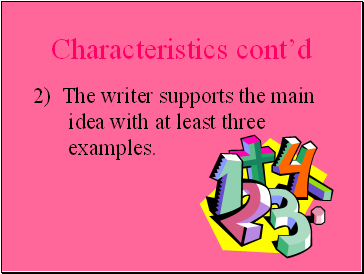 2) The writer supports the main idea with at least three examples. 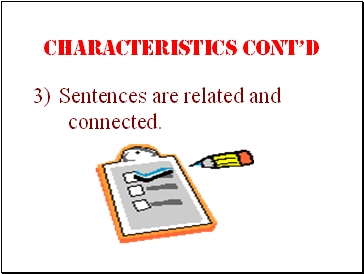 3) Sentences are related and connected. 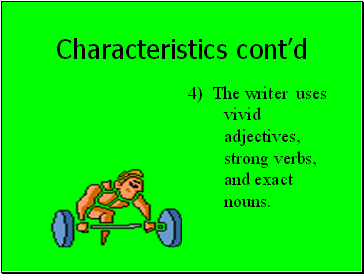 4) The writer uses vivid adjectives, strong verbs, and exact nouns. 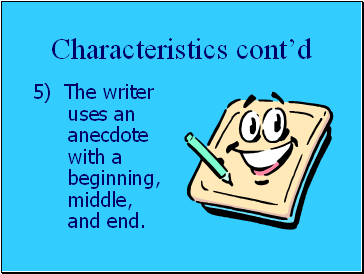 5) The writer uses an anecdote with a beginning, middle, and end. 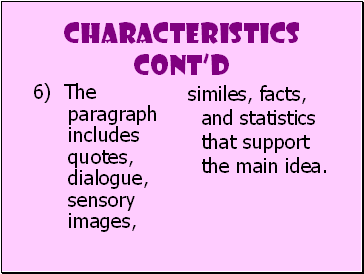 similes, facts, and statistics that support the main idea. 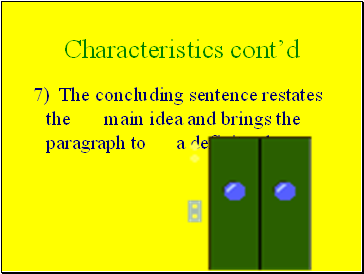 7) The concluding sentence restates the main idea and brings the paragraph to a definite close. 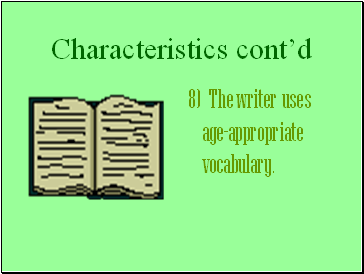 8) The writer uses age-appropriate vocabulary. 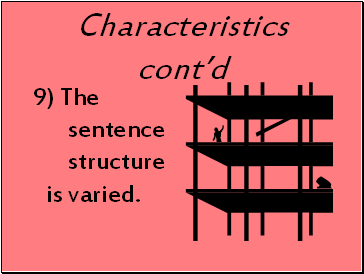 9) The sentence structure is varied. 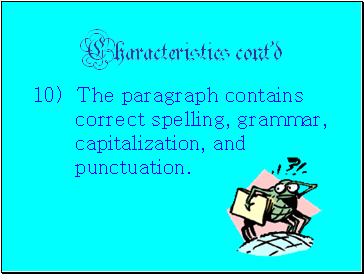 10) The paragraph contains correct spelling, grammar, capitalization, and punctuation. 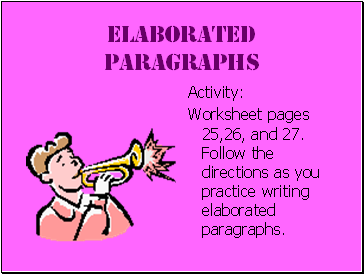 Worksheet pages 25,26, and 27. 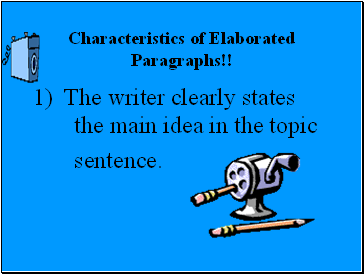 Follow the directions as you practice writing elaborated paragraphs. 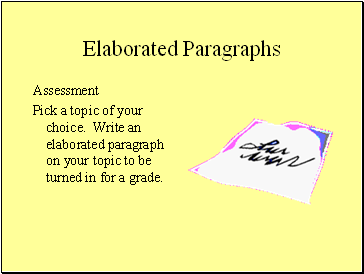 Pick a topic of your choice. 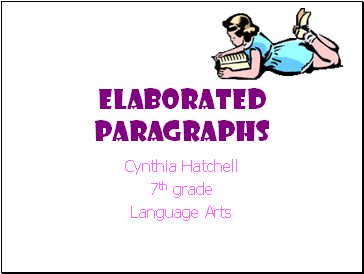 Write an elaborated paragraph on your topic to be turned in for a grade.